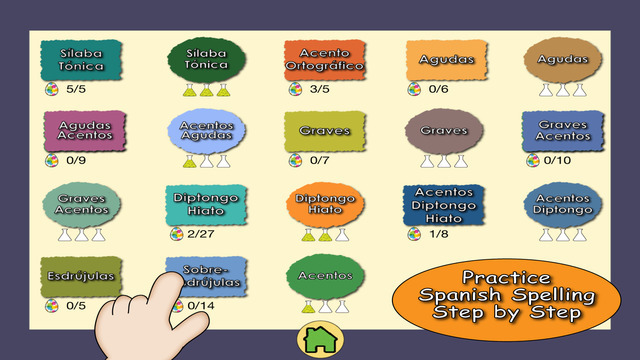 You might remember my sharing this app for teaching children to read in Spanish using phonics-based games. Lee Paso a Paso has proven to be a favorite among both parents and teachers. So I was delighted when one of the app's developers contacted me to share some new ones that they've developed. I think you'll find this new one just as valuable and effective. 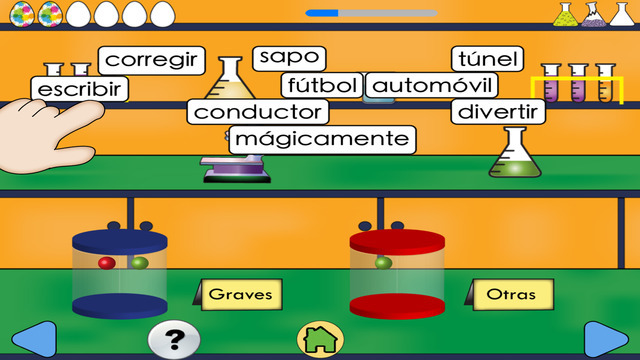 Brief Description: An app that teaches the basic rules for accentuation of the Spanish language through interactive games. There are approximately eight games that are simple and fun, not overwhelming with repetition. The begin with a description of the rule or definition of the concept. I like that the audio is of a child reading the definition and the text appears on the screen with important words highlighted in larger, colored font. But you can definitely turn off the music, word sounds, and the narrator with just a swipe of the button. 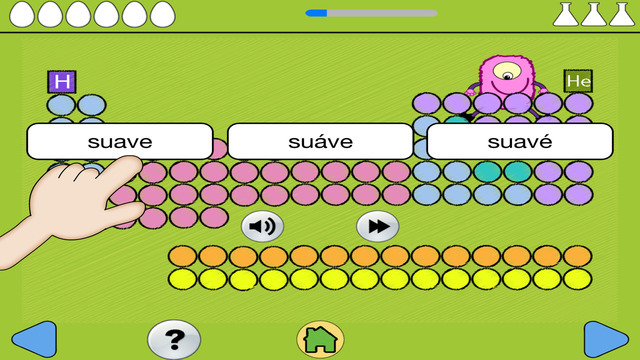 You can also control the word pronunciation by selecting the Mexican or Spanish option. But do you know what I liked best? It was that this app is helpful for anyone learning to read or write in Spanish. The reason I don't write in Spanish is because I was never taught how. I don't know all the rules, my conjugation can be embarrassing, and accents? Oy! I really loved that I learned something myself playing this app. There is also a Lite version that is available for free. Note: This app is only in Spanish.